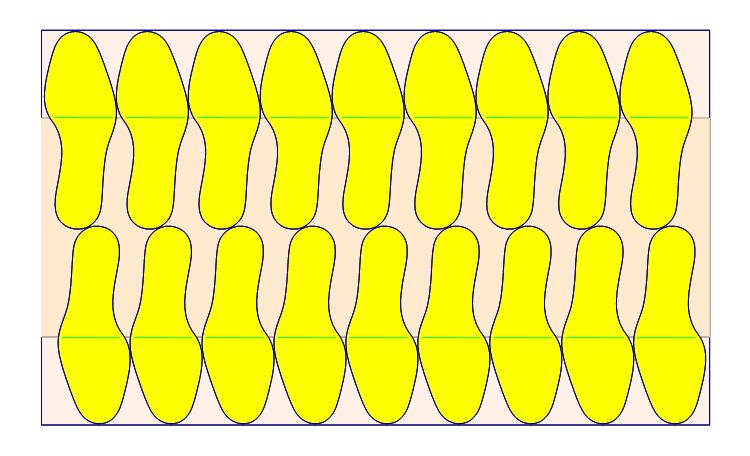 StripeNest optimises the placement of insoles on coupled materials (thermoplastic + fiberboard). The stripes must be represented by one quality area lying inside the material (the actual quality level is ignored). The length of the stripe must be strictly equal to one of the material dimensions. 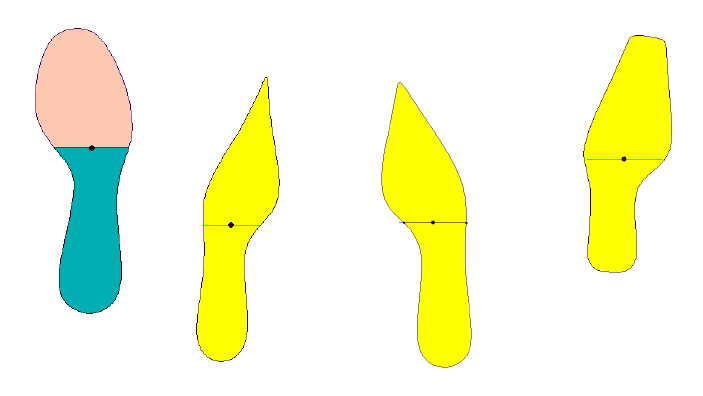 The shapes must be drawn toe up (see below). The vertical coordinate of the center point of the shape will identify the borderline limiting the two shape areas that must be placed inside and outside the stripe. 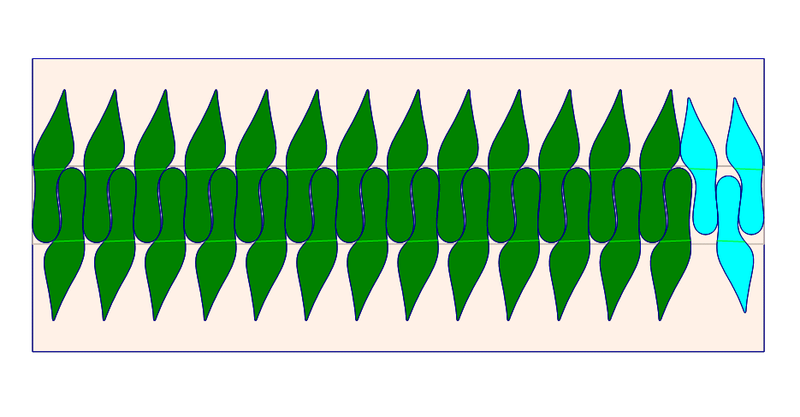 The area below the borderline is to be placed inside the stripe. The shapes can be drawn as left or right. The nesting software will take care of mirroring the other one.